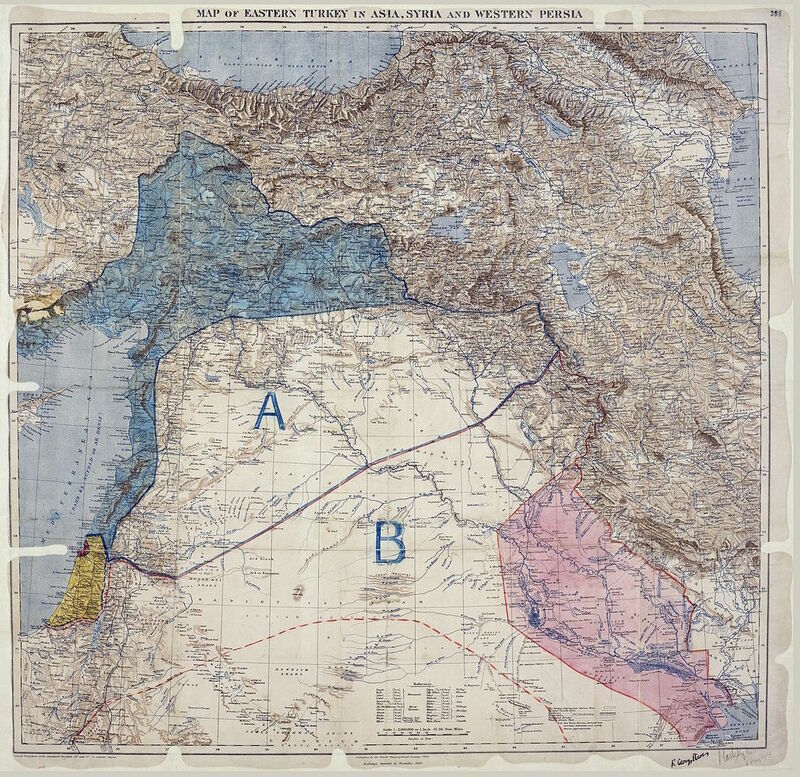 The Sykes–Picot Agreement map: the map that changed the Middle East. It was an enclosure in the French ambassador Paul Cambon’s letter to Sir Edward Grey, dated 9th May 1916. Seven days later the two would sign the Sykes–Picot Agreement, a secret agreement between the the UK and France outlining, according to the lines on the map, how they would carve up the Middle East should the Ottoman Empire be defeated in the First World War. The Ottomans were indeed defeated two years later and the rest, as they say, is history: a complicated, sad, and very bloody history. Learn more about the agreement, the map, and their consequences in David Fromkin’s highly recommended A Peace to End All Peace: The Fall of the Ottoman Empire and the Creation of the Modern Middle East (1989). You can also check out the fairly thorough Wikipedia entry here.